Cyril Hare's pen name was reportedly derived from a mixture of Hare Court, where he worked as a lawyer, and Cyril Mansions in Battersea, where he lived. As a young man and during the early days of World War II, Hare served as a touring judge's marshal, an experience he used in his novels. Between 1942 and 1945 he worked at the office of the Director of Public Prosecutions. He served a short time at the Ministry of Economic Warfare, and the wartime civil service. In 1950 he was appointed county court judge in Surrey. Hare suffered from tuberculosis and died at the age of 57. 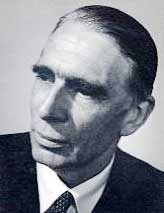 Cyril Hare is currently considered a "single author." If one or more works are by a distinct, homonymous authors, go ahead and split the author. Cyril Hare is composed of 5 names. You can examine and separate out names.